Featuring H2X-DRY® moisture management technology, this polo will keep you dry & comfortable all day long. 100% Polyester Interlock, 3.83oz. 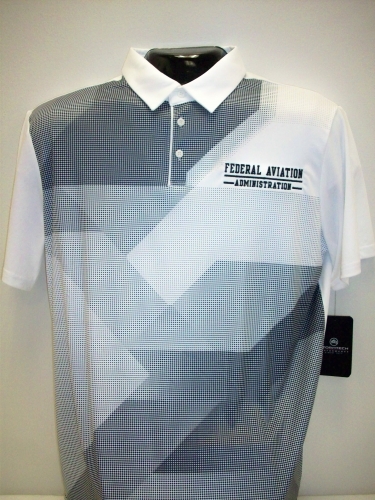 anti-snag fabric with UVR Sun Protection, 3-button placket, gradient sublimated print on front, self-fabric collar. Available in White/Black only. Sizes S-2XL.